Ahoy there me buckos! The App Pirate is back aboard his Jolly Rogers and about to make sail. Are ye up to goin’ on another fierce adventure with me and me crew? Aye, an adventure it will be. But afore we hop on me ship, let me tell ye about this app that ye buccaneer can use to talk to yer lads. It’s called Viber. Viber is a free voice and instant messaging application developed by Viber Media. It was first released for iOS users in 2012 and for Android on the following year. It was then made available for other smartphones including Windows Phone, Bada, Symbian, Series 40 and BlackBerry OS. 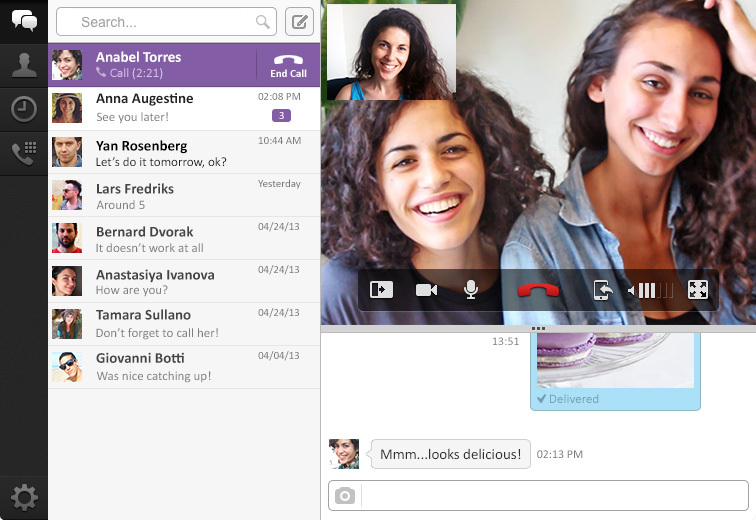 Recently, Viber for Desktop/PC and Mac was released. Let’s plunge into the deep seas, Garr! Here be our review of it. Viber used on smartphones like iOS and Android devices let you enjoy free voice calls with other Viber users through 3G and WiFi. Instant messaging, photo sharing and group messaging with up to 40 users are also supported. Viber recently released an update for iOS and Android devices. Viber 3.0 offers additional features that users will love including an enhanced user interface, status feature and video messaging. The update is not yet available on other devices, though it is expected to be rolled out on the following months. In the meantime, users of these devices could still enjoy quality calls and instant messages with other Viber users, including those that are using the application on their computers. 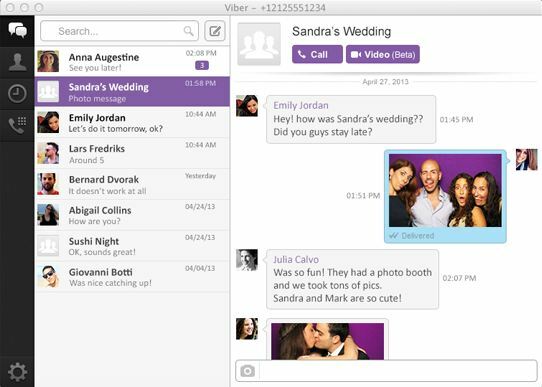 With the release of Viber 3.0 on iOS and Android comes also the release of Viber for desktop. You can now enjoy its great features that you’ve learned to love on your computer. There is an option to sync the Viber application installed on your smartphone to the Viber app installed on your computer so you don’t have to manually add your contacts. Those that do not have Viber account yet must download and install the application on their mobile device first to register their number. Unlike other VOIP applications, it does not require a long sign up process making it more convenient. It also has a simple user interface that is instinctive and straightforward. Phone number registration is fast and easy. After installing the application on a smartphone, a verification code will be sent through text message. Enter this code on Viber and the process is complete. They can then proceed with the installation of the application on their desktop. 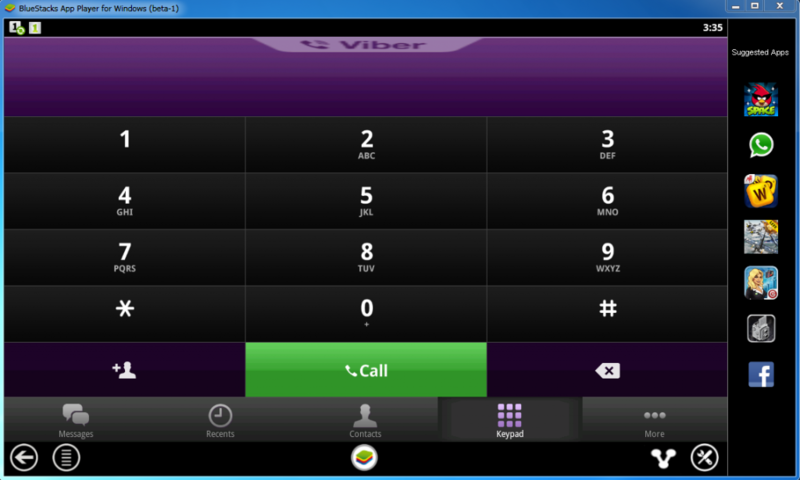 Viber for desktop has all the features that Viber for mobile phones offer and more. Video calling is a feature that is supported on the desktop version. However, this is not yet available on smartphones. When you receive a call, all devices with Viber installed will ring including your computer. This will ensure that you will not miss any important calls. When you receive the call in one of the devices, the ringing will also stop on other devices. Calls can be transferred seamlessly to and from your computer and mobile device without being cut off. Furthermore, you would know which messages have been read or not even if you access them on different devices. As mentioned, video messages can now be sent to friends. There is also a status indicator that tells you which of your contacts are online in Viber; though you can still send messages even when they are offline. Voice calls are better with improved audio quality. This ensures that you and the other person on the line will understand each other better. Be notified with new messages with its in app banner. Captions can also be added on the videos and images you send to your contacts. View photos easily with their larger size and bigger thumbnails. Fun stickers are also available, making messaging even more enjoyable. With all the features it offers, this is a light application that will not take much space on your mobile device or computer. There are several free instant messaging and voice calls applications around. With the continuous growth and development of Viber, this makes it one of the most promising programs to use. Its availability on desktop made it even more competitive. Within just a few years after its first release, it was able to establish its name on the industry. It is exciting to see the new things that it has to offer in the following years.